One of the best pitchers to wear a Blue Jays uniform, Halladay was killed last November when his small plane crashed in the Gulf of Mexico. He was 40. 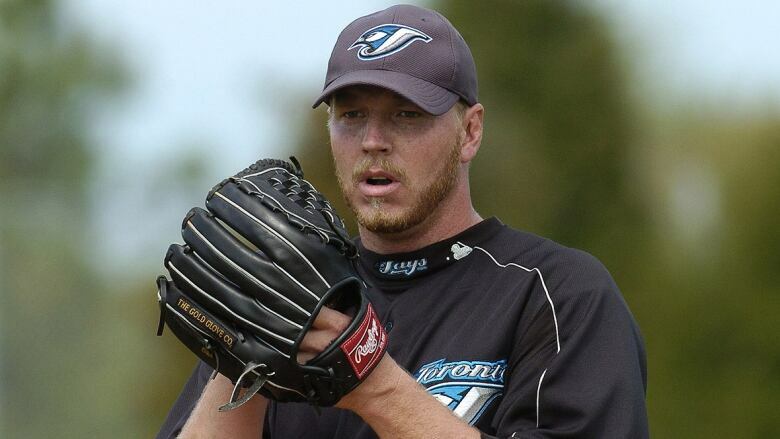 Halladay, nicknamed Doc, was with Toronto from 1998-2009, winning 148 games and the 2003 Cy Young Award as the American League's best pitcher. He won the National League Cy Young in 2010 after being traded to Philadelphia in December 2009. Steroids-tainted stars Roger Clemens and Barry Bonds each appear on the ballot for the seventh time. Clemens rose to 57.3 per cent in the 2018 ballot but fell 75 votes short of the 75 per cent needed, and Bonds was 79 votes shy at 56.4 per cent. Martinez was 20 votes short at 70.4 per cent, Mike Mussina at 63.5 per cent and Curt Schilling at 51.2 per cent. Rivera had 652 regular-season saves and 42 in the post-season during 19 seasons with the New York Yankees that included five World Series titles. He was 8-1 with a 0.70 earned-run average in 32 post-season series. Halladay was 203-105 with a 3.38 ERA in 16 seasons. He pitched a perfect game against Florida in 2010 and a no-hitter that fall versus Cincinnati in the NL Championship Series opener — only the second post-season no-hitter after Dan Larsen's perfect game in the 1956 World Series. Pettitte was 256-153 with a 3.85 ERA in 15 seasons with the Yankees and three with Houston and went 19-11 record with a 3.81 ERA in 44 post-season starts. Helton hit .316 in 15 seasons for Colorado with 369 homers, 1,406 runs batted in and 1,401 runs, and Young hit .300 in 14 seasons, all but the last with Texas. Tejada batted .285 with 307 homers and 1,302 RBI in 16 seasons. More than 400 ballots are being sent to eligible voters from the BBWAA, and a player must receive at least 75 per cent for election. Ballots are due by Dec. 31 and results will be announced Jan. 22. Voters must have been members of the BBWAA for 10 consecutive years. Players remain on the ballot for up to 10 years, provided they receive at least five per cent of the vote annually. Martinez and first baseman Fred McGriff (23.2 per cent last year) are on the BBWAA ballot for the final time. Additional newcomers on this year's ballot include infielder Placido Polanco and outfielder Juan Pierre.